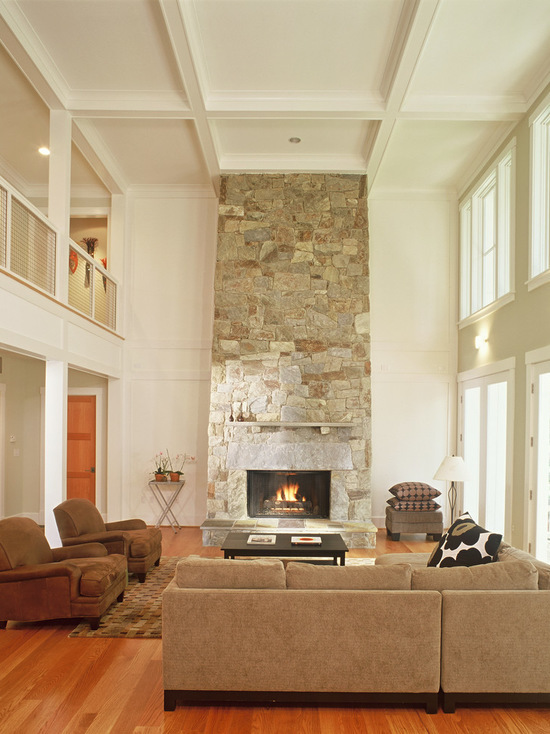 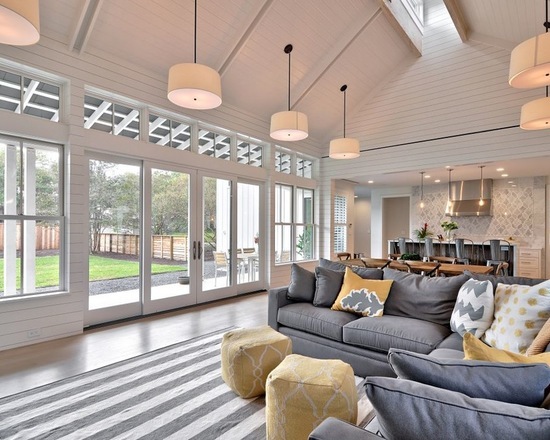 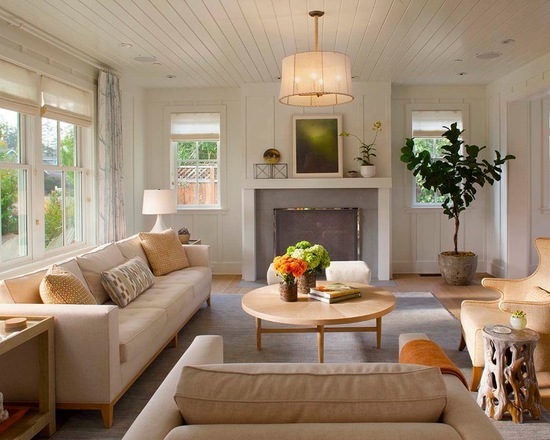 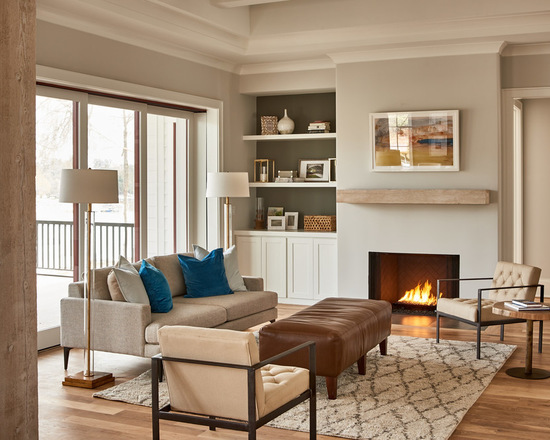 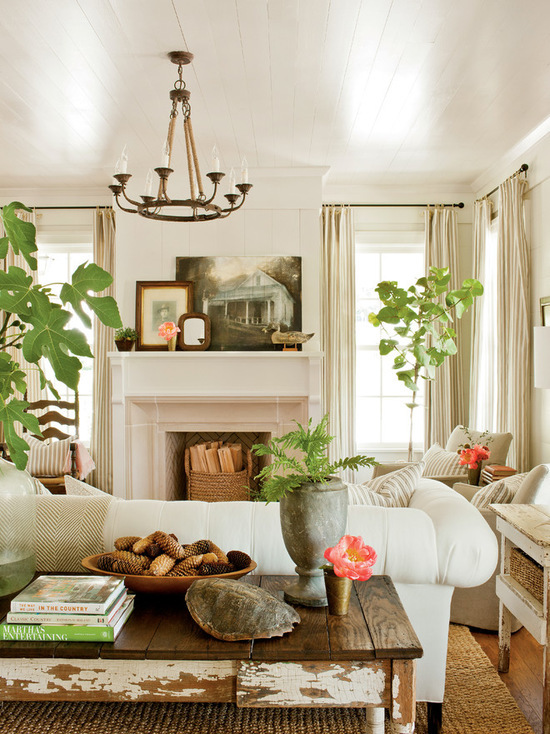 The living room should be a place that fosters an atmosphere of spending time with family and friends. 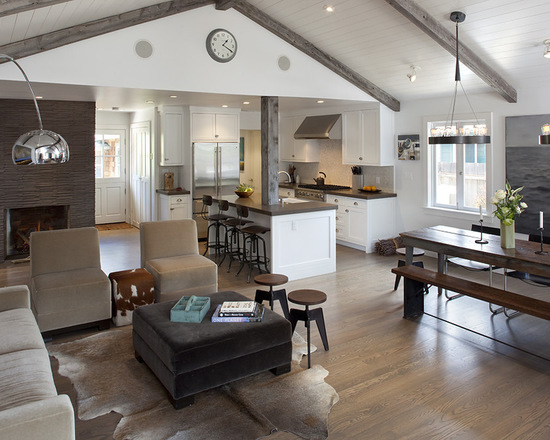 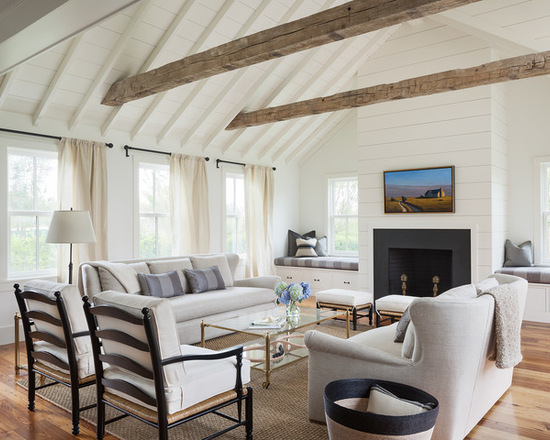 The farmhouse style is the perfect way to create such an environment. 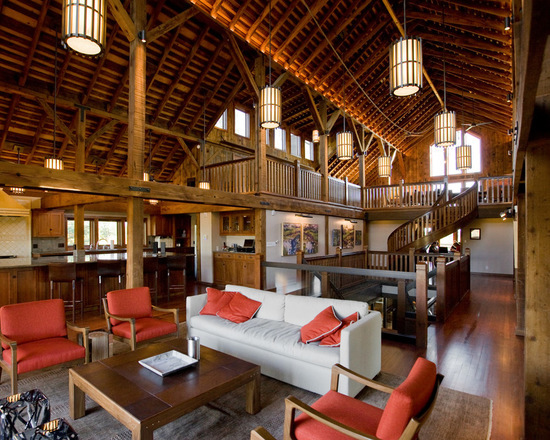 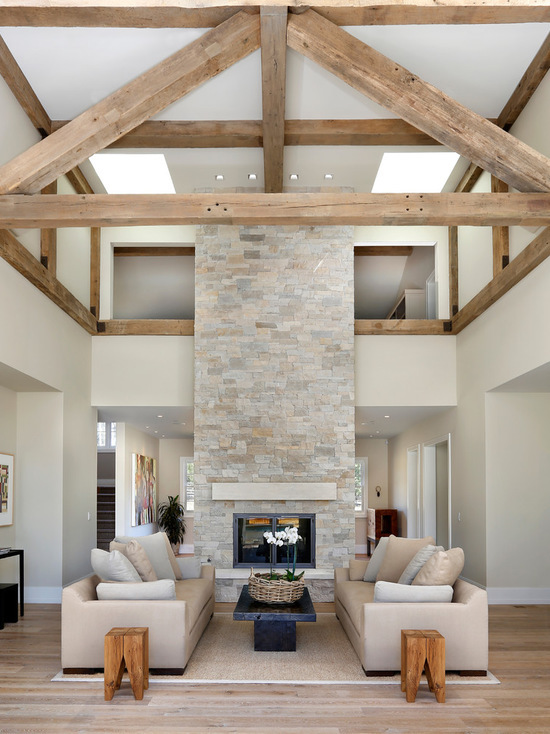 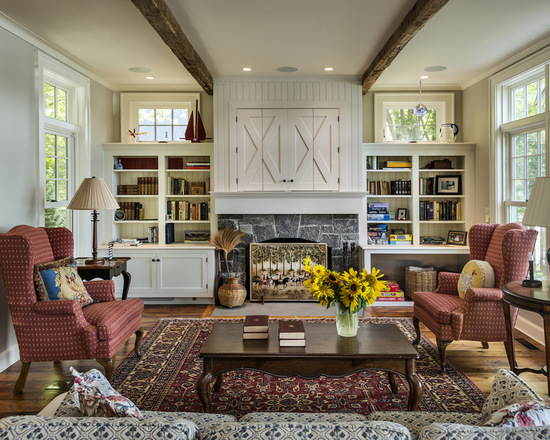 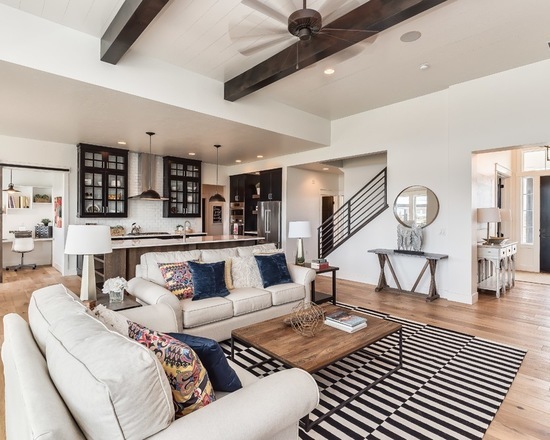 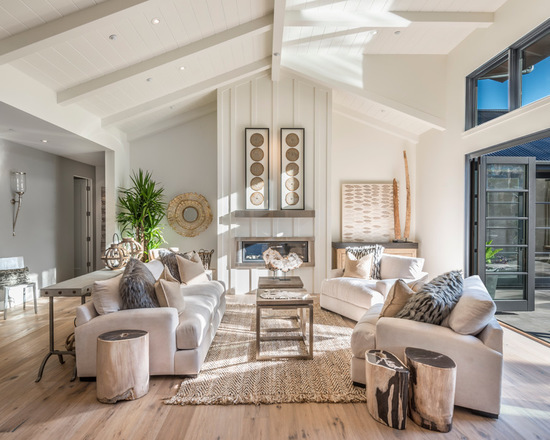 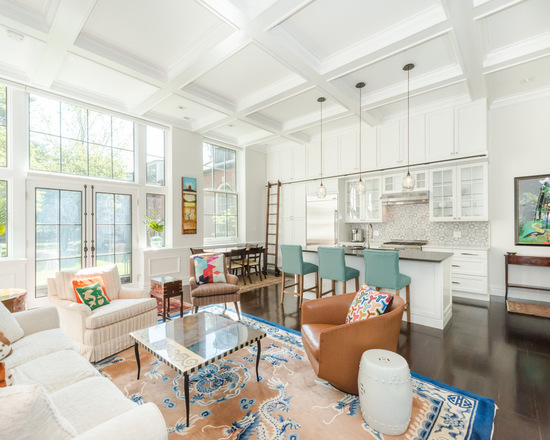 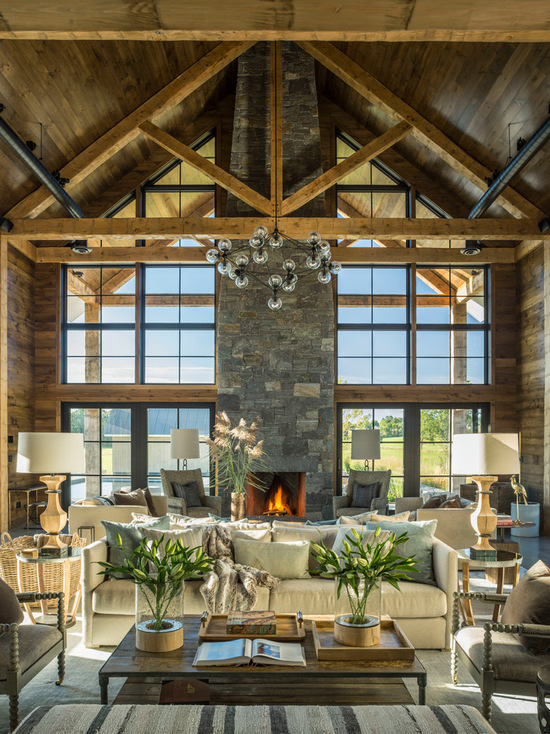 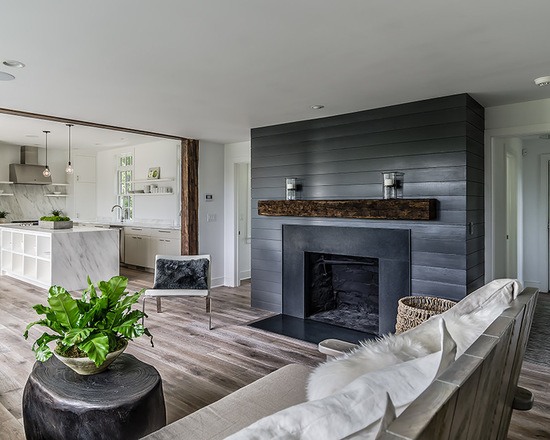 A living room that is a family room is created for spending time together with your family and friends, so turn it into a paradise of coziness: wooden ceiling beams, rustic shabby chic furniture, natural wood and stone in décor and an awesome stone fireplace. 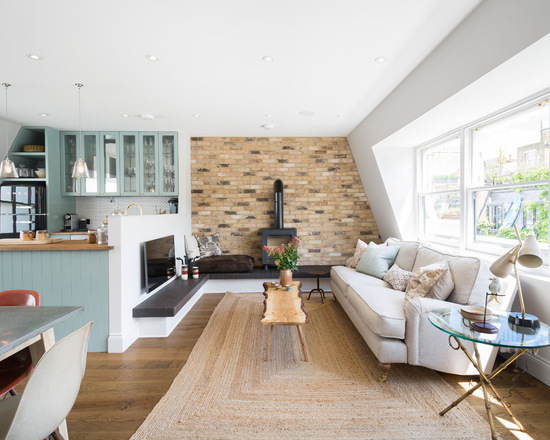 The color schemes can be different: calm and pastel or, on the contrary, bright and patterned – there are ideas for everybody, get inspired!